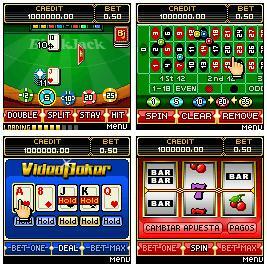 The Zero36 mobile casino is one of many microgaming mobile casinos that are available to download to your phone. That means Zero36 mobile casino has the exact same games as the rest of pack, so Zero36 has put together some special promotions to help stand out from the crowd. Players at Zero36 mobile casino get their first deposit matched up to £100, but the bonus continues all year round with another £300 available each month too. Every other deposit is given a bonus of 10% up to a total bonus amount of £300 a month — that’s £3600 free a year. Zero36 mobile casino has one of the biggest bonus packages of all the microgaming mobile casinos, why would you bother with the rest? 11 of the usual microgaming mobile casino games. Withdraw through your phone to FirePay, direct transfer (ACH), company check or Neteller. Special Promotions: First deposit matched up to £100. 10% of every other deposit is added to your account each month up to £300. Your first deposit on Sundays is given an extra £35 for free too. A promotion to suite everyone, free cash for us all! Can only deposit through a card. Will You Be The First Mobile Casino Millionaire?